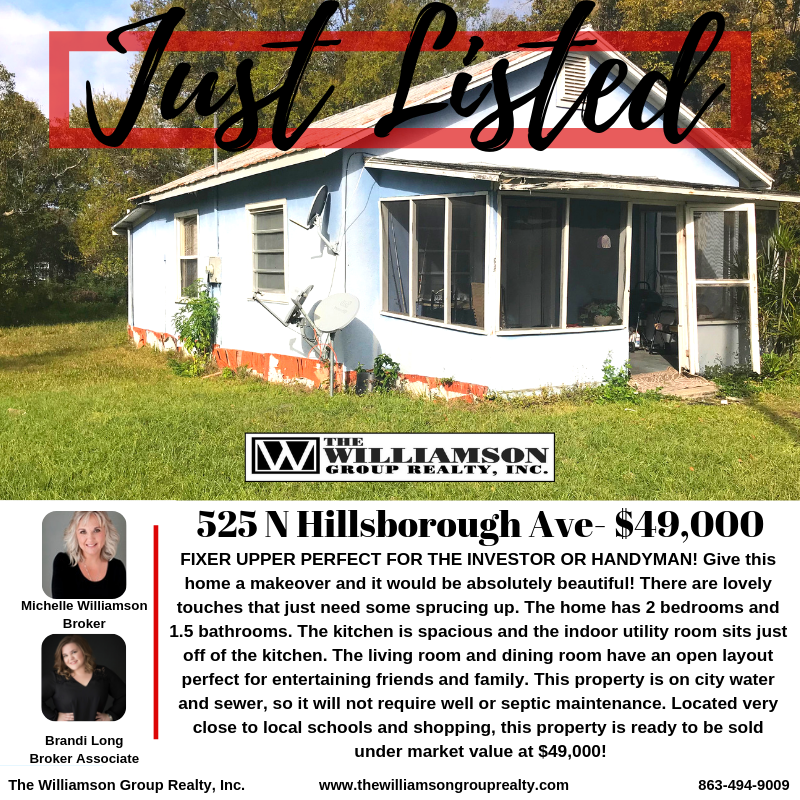 FIXER UPPER PERFECT FOR THE INVESTOR OR HANDYMAN! Give this home a makeover and it would be absolutely beautiful! There are lovely touches that just need some sprucing up. The home has 2 bedrooms and 1.5 bathrooms. The kitchen is spacious and the indoor utility room sits just off of the kitchen. The living room and dining room have an open layout perfect for entertaining friends and family. This property is on city water and sewer, so it will not require well or septic maintenance. Located very close to local schools and shopping, this property is ready to be sold under market value at $49,000!